From July 25-31, participants from around the world joined together to celebrate their faith and community at Magis 2016 and World Youth Day in Poland, led by Pope Francis. Eight Fairfield students and three faculty members packed their bags and made their way to join in this global celebration. Among the hundreds of thousands of young pilgrims, clergy and volunteers, Fairfield University students will be just a fraction of the community gathering. World Youth Day is celebrated in dioceses throughout the world every two to three years and hails people from 52 countries around the world. This event has its origin with Pope John Paul II, hosting a large international youth meeting on the occasion of the Holy Year of Redemption in 1984, in St. Peter's Square at the Vatican. Joining the students on their trip are Assistant Professor of Physics, Jonathan Stott, Campus Minister Fiona Shovlin and Director of Campus Ministry, Reverend Mark Scalese, S.J. who is eager for students to embark on an educational, transformational and worldly journey into the Catholic faith. “One of the exciting things about WYD is experiencing how truly global the Catholic Church is. Our students will meet hundreds of thousands of young people who are literally from all over the world – how cool is that?” stated Reverend Scalese, S.J. 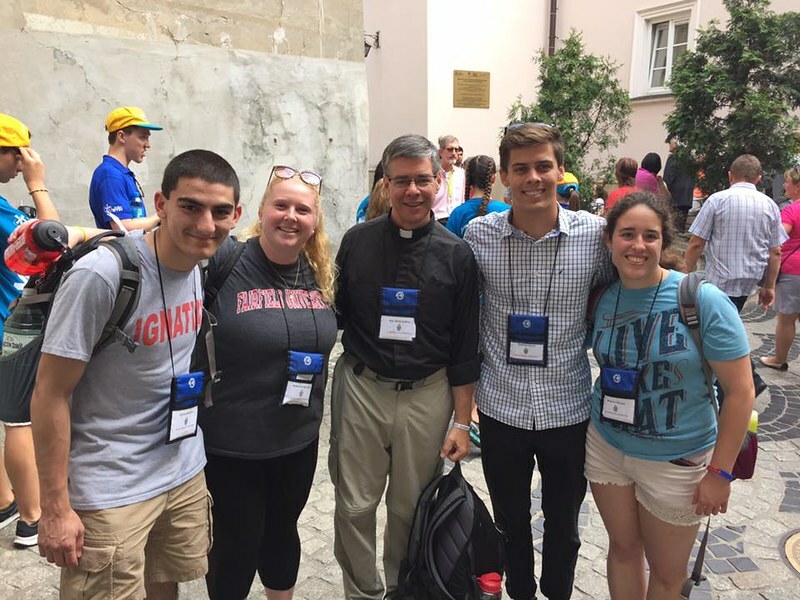 “We are especially blessed to be able to experience all of WYD with Bishop Caggiano. I’m delighted that our students will be exposed to such an energetic and inspiring bishop who is so much like Pope Francis." Fairfield University student, Anya Cullen ‘17 prepared for this experience through prayer and meditation in “hoping to gain deeper connections with youth around the world, with those traveling from the Fairfield community, with myself, and most importantly with God”. Participants will spend time in Poland, exploring the natural wonders of the country and enriching their Catholic faith through prayer, pilgrimages and learning more about Polish saints such as St. Faustina, St. Maximilian Kolbe, and St. Pope John Paul II, by visiting the places where they lived and performed their ministries.